We’re at the end of the first week of December and Christmas trees are going up in homes around the world – apart from ours that is! There simply is not enough room in the lounge for a tree at the moment, as the renovations are still going on in the garage/playroom conversion, and the contents of that room are hanging out in my once peaceful, serene living room. That doesn’t mean we haven’t made room for a few festive additions though, as you can see from this small corner of the room which has been transformed into a little Christmas haven for me to look at. Hopefully next week the room will be finished and our house will be getting back to normal, and Christmas can well and truly begin. It always seems a bit early to me anyway before the first week of the month is out of the way. 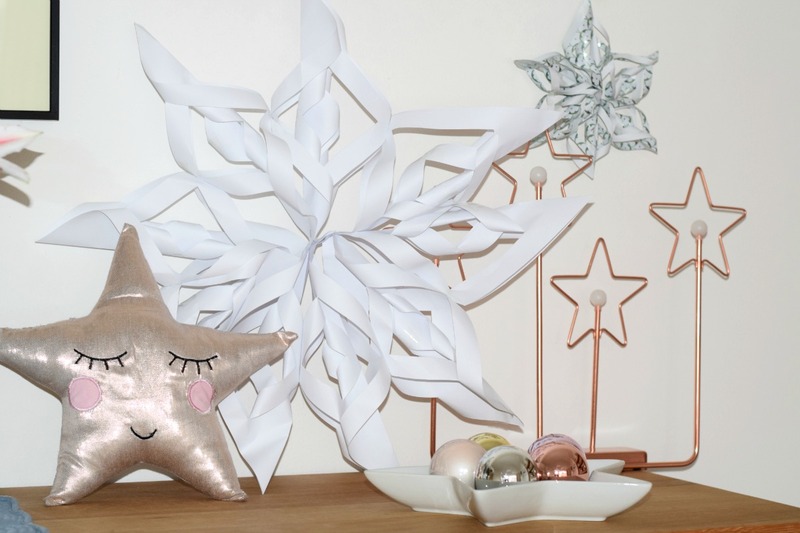 I recently wrote a post for Laura Ashley about some of their beautiful Christmas decorations, including a few things I chose from their seasonal range. 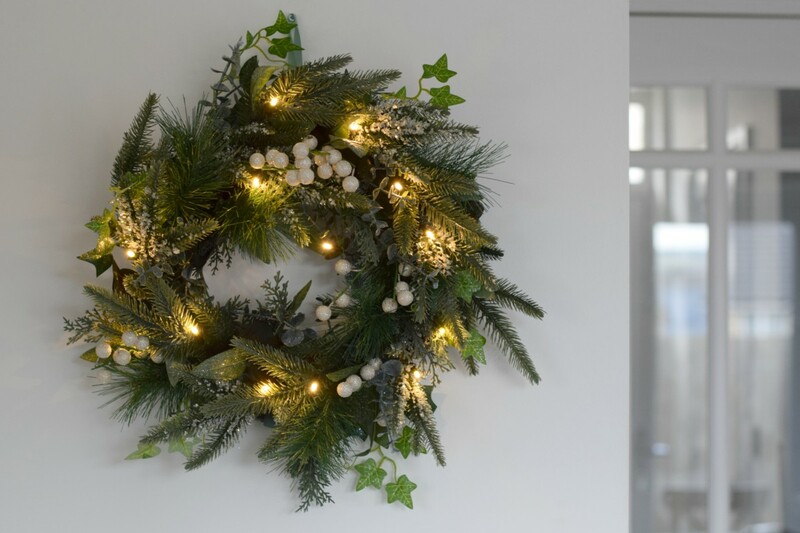 This lit winter wreath looks really natural and I love how it brings greenery and sparkle into my living room. It’s supposed to be hung inside but I reckon I could get away with hanging it on the front door in the daytime around Christmas time, if the weather stays dry. I’ve tried hanging it in the kitchen and it looks really classy and warm, especially when the lights are switched on and it gives out that lovely glow. 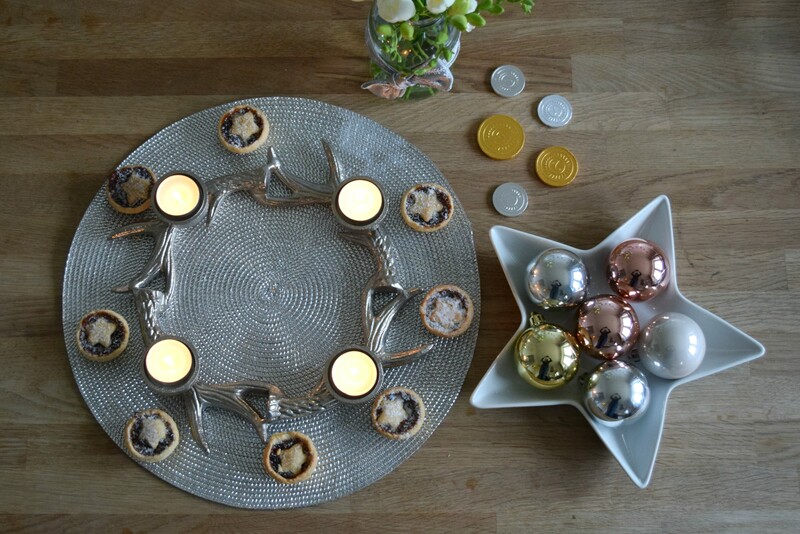 I’m hosting Christmas Day this year and although it will just be me, my children and my parents I still want to make an effort with the table and make it look stylish. 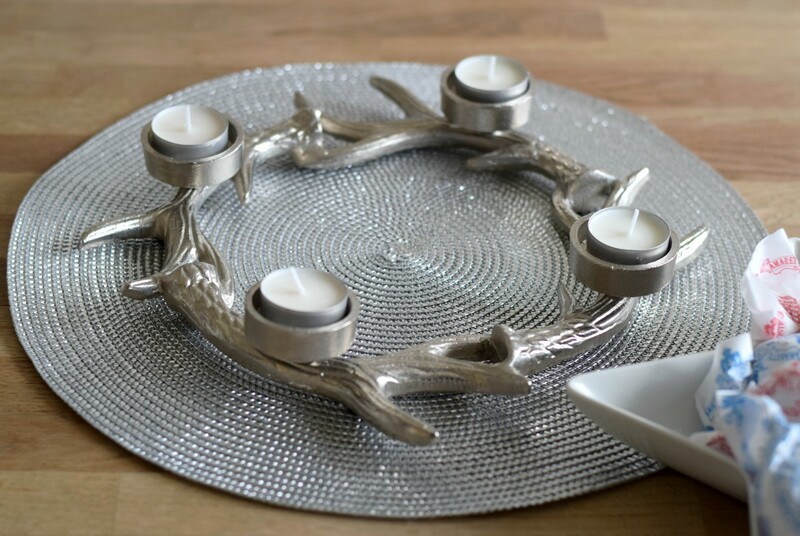 I chose this antler tealight holder as I think it will be a perfect centrepiece. I’ve put some spiced scented candles in it from Ikea and it just feels (and smells) like Christmas all over the house! 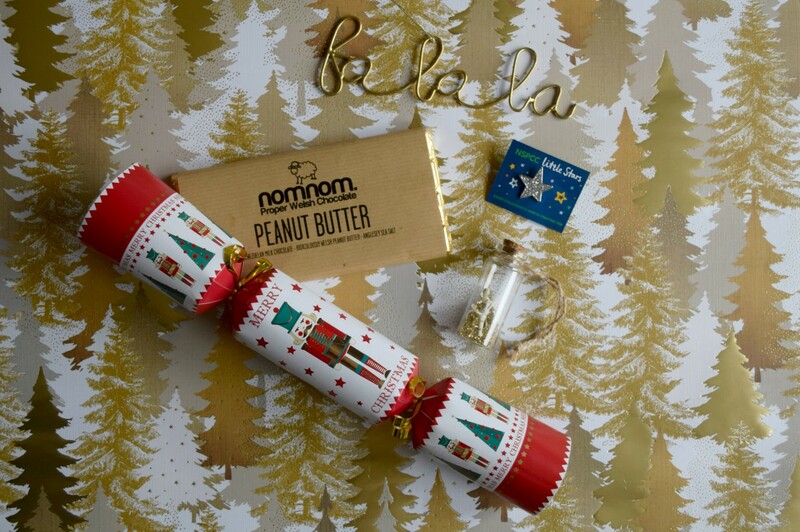 It’s a great piece which could be used on the table for drinks with friends too, just to give a bit of Christmas luxe to the prosecco proceedings. 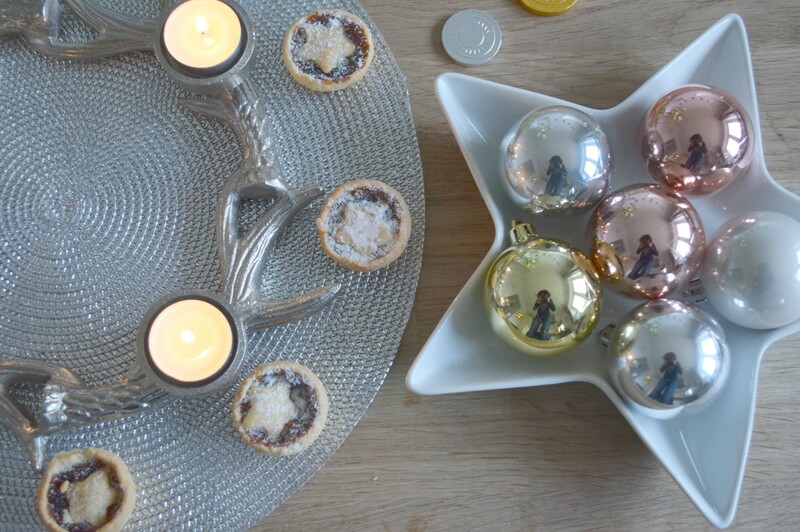 I *had* to buy some mince pies from Booths to spice up the photographs, which are such a danger in my house. I love them but one of these baby ones is just not enough! 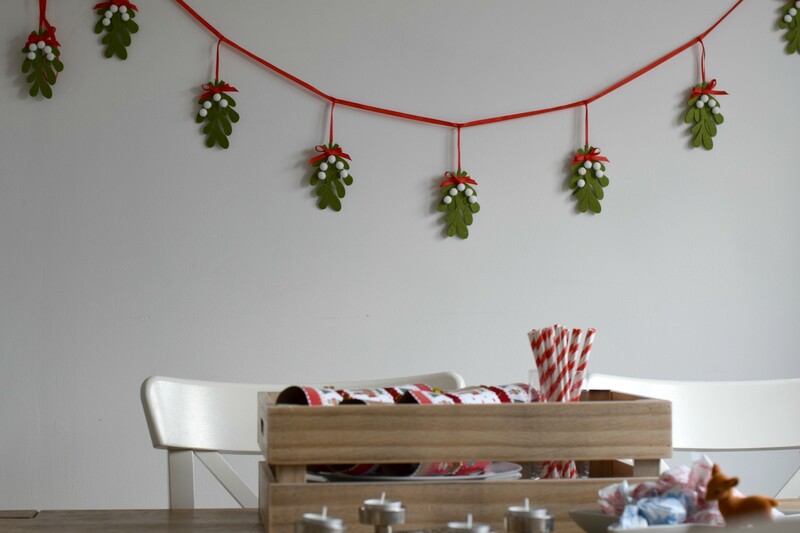 In the kitchen, I have this mistletoe get garland which I’m hoping will go in the playroom when it’s done. It’s such great quality and nice and bright. Much nicer than hanging old school tinsel over the picture frames, 80s style! 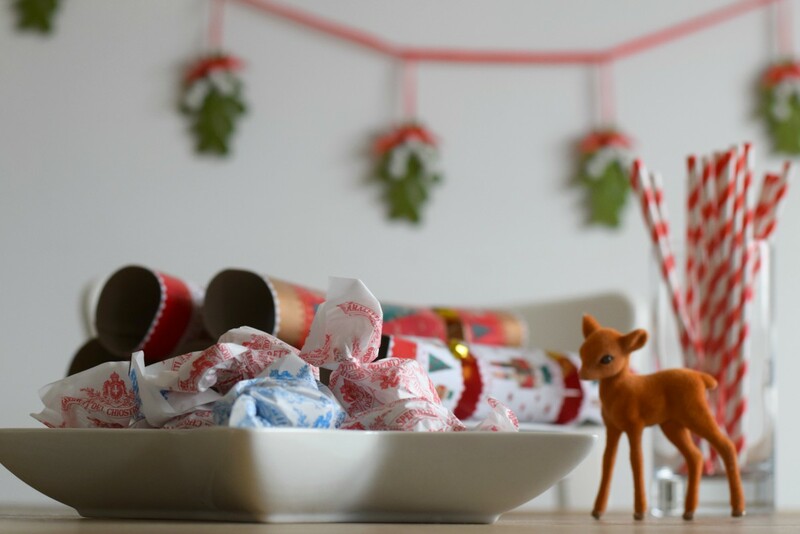 It also looks fab and rather elf-ish with my candy cane coloured paper straws, and the kids’ crackers I’ve just bought ready for Christmas lunch. I know it’s something that will last for years to come and never look dated. I love a classy Christmas dec! 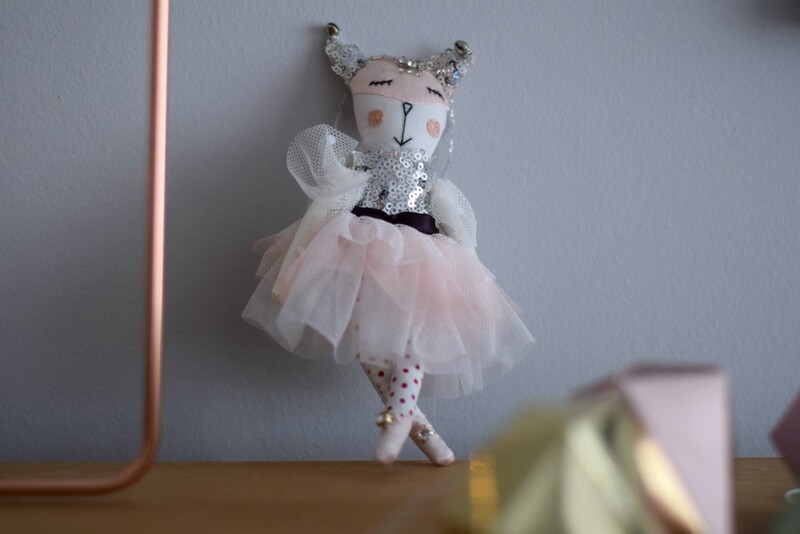 One of my favourite Christmas additions this year is this little twinkly cat fairy decoration from Anthropologie. I had to buy one for my mum as well as it was just so sweet; all their decorations this year are really beautiful. I bought a little metal hanger that says ‘la la la’ as well, which was in this month’s Five under £5 post. 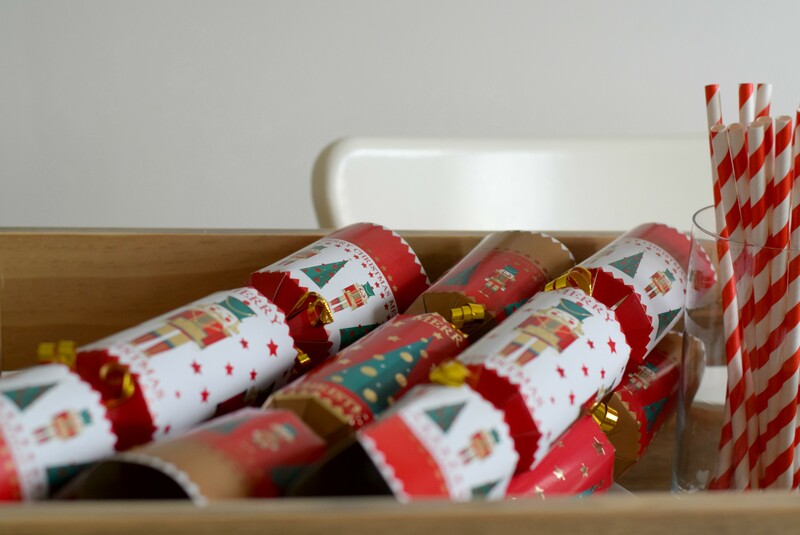 Have you brought out the decorations yet? 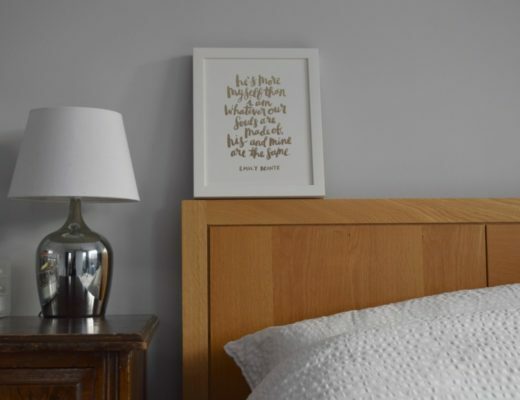 This post was written in collaboration with Laura Ashley. 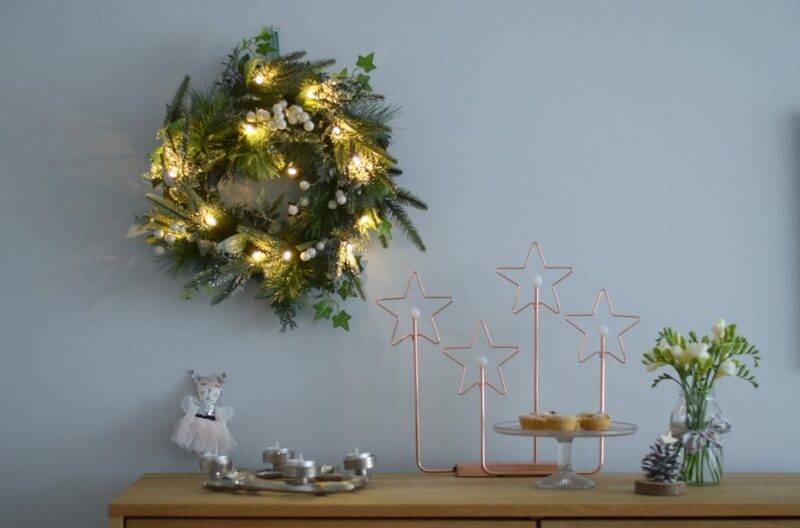 The wreath, tealight holder and mistletoe bunting are available on their website, and lots of seasonal stock is in the sale! It’s all so pretty. 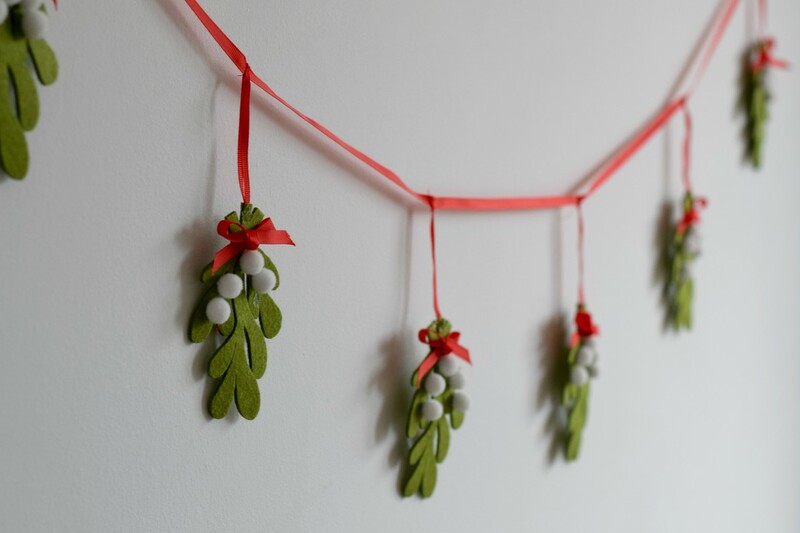 I just love that mistletoe bunting. I think that’s my favourite! Love these! 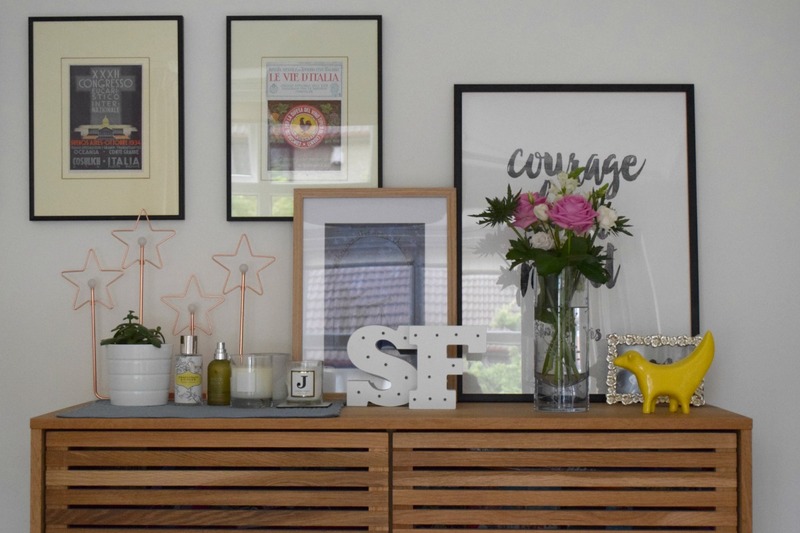 A really nice balance of a pared-back modern look but still an element of fun and sparkle! Will have to have a peek at the Laura Ashley site. Seriously beautiful. It looks so festive but also clutter free. I would like to buy some Mistletoe Bunting but nothing comes up on Laura Ashley website. Can you help please?